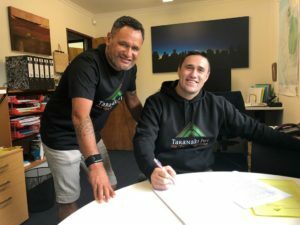 The Crown’s determination to overcome tribal policies saw an alternative programme implemented and sales agreements with individuals and groups of individuals took place without any sanction from all rangatira concerned. The flashpoint for armed conflict between Taranaki and the Crown was an attempt by the Crown to force the sale of the Pekapeka Block at Waitara despite the opposition of Wiremu Kingi, and other rangatira. Despite this objection, the Governor ordered his officials to identify each person’s individual part in the Pekapeka Block and to negotiate terms of sale with those identified. 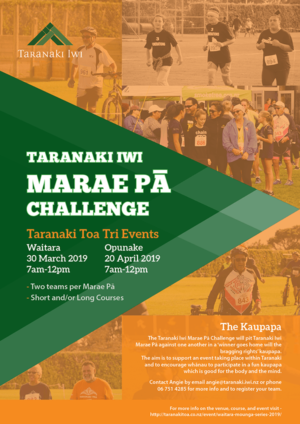 Wiremu Kīngi and many others from the Taranaki refused to undermine the traditional principles of collective interest by making individual claims. The Crown did not gain a collective agreement with the rangatira and hapū of Waitara before proceeding to detailed negotiations and the Pekapeka purchase was forced through. 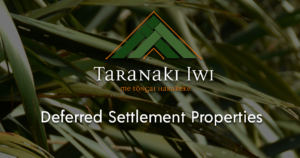 The Crown did not gain a collective agreement with the rangatira and hapū of Waitara before proceeding to detailed negotiations and the Pekapeka purchase was forced through. Following attempts to resist the surveying of the disputed land, the Crown proclaimed martial law throughout Taranaki in February 1860 and War eventually broke out in March when Crown troops attacked. This marked the beginning of war. With mounting tension from settlers the Crown dispatched various regiments into the region. Settler forts were also constructed to protect the town belt and the Ōmata Stockade was erected on top of the abandoned Ngāti Tāiri pā site, Ngāturi, on the southern outskirts of New Plymouth. The Crown’s proclamation of war, increased military presence and subsequent aggression in Waitara saw Taranaki Iwi and Ngāti Ruanui respond by occupying Waireka. On 27th March 1860, Kaipopo pā was erected in Waireka near Ōkurukuru, the demarcation line between Māori and Pākehā land sworn by Taranaki iwi rangatira in 1851 and 1854 at Manawapou. Reprisals in the form of attacks and raids against settler properties in outlying areas also increased, forcing many into New Plymouth for safety, while those who remained directed to stay abreast of the conflict. The perceived threat on the settlers’ lives led a group from the Ōmata Stockade to mount a ‘rescue’ attempt of those thought to be besieged at Waireka. A battle ensued and the pā was eventually assaulted by Captain Cracroft and his naval crew from the HMS Niger killing prominent Taranaki leaders Paora Kukutai, Paratene Te Kopara along with the Ngāti Ruanui chief Tito Te Hanataua. The settlers made their way into New Plymouth the next day stating “It was no wish of ours that an armed expedition should be set on foot on our behalf. We were perfectly safe”. Two days after the Waireka engagement, Captain Cracroft was directed by the Governor twenty miles south of New Plymouth to Warea kāinga where he anchored about 2000 yards offshore, with heavy surf running, he opened fire on the pā and kainga. Following the bombing of Warea various military regiments were detached with redoubts erected in the Tataraimaka block marking the Crowns protracted military presence in the Taranaki iwi rohe and despite a declaration of peace agreed to in 1861, an increased military presence by 1863 led to the killing of a small party of soldiers trespassing on Māori Land in Oakura.